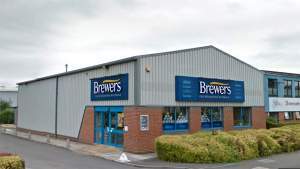 In-store at Brewers Decorator Centre Aldershot you’ll find the usual excellent range of paints and wallpapers to suit any decorating budget. We have Wallpaper Direct and Designer Paint kiosks, so you can easily get online and search for the perfect product for delivery to store. We also have a very friendly, approachable team (a team that our customers have told us spreads happiness) with more than 60 years’ paint and decorating experience between them. One of us even has a degree in fine art, so if you’re looking for help picking the perfect colour, it’s worth the visit. You’ll find the Aldershot Brewers just on the outskirts of town, near St Augustine’s church. North Lane is just off the A323 before it meets the A331. The shop has plenty of parking, including dedicated disabled parking bays.